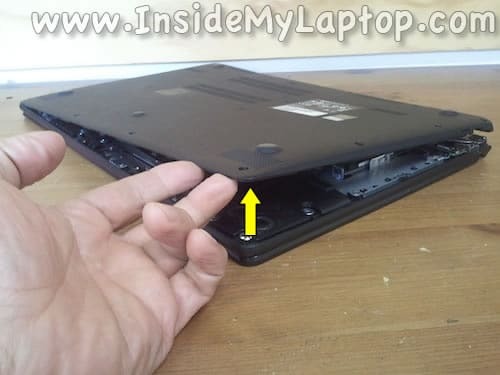 In this guide I will show how to disassemble an Acer Aspire V5-572G-6679. The guide has two parts. 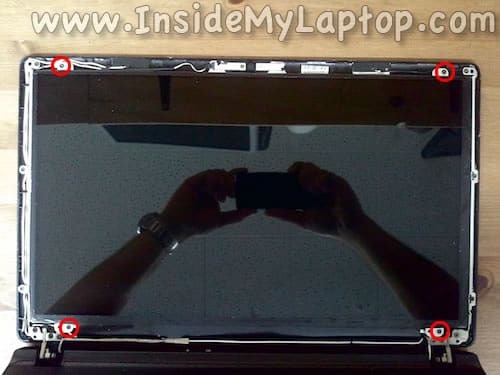 In the first part I explain how to access important components located under the bottom cover. 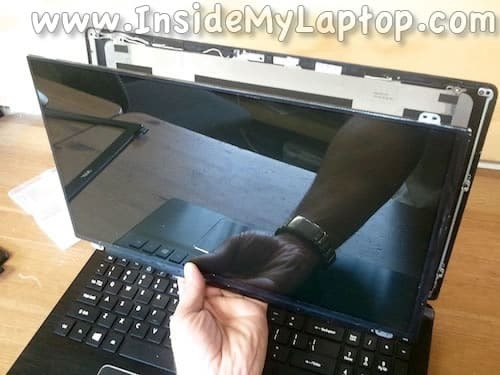 In the second part I explain how to disassemble the display and remove the screen. 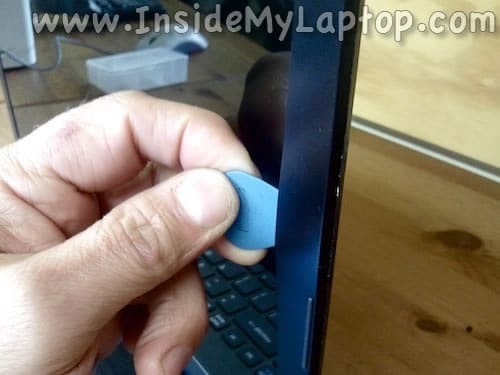 You can use a guitar pick or any other piece of plastic to split the case. 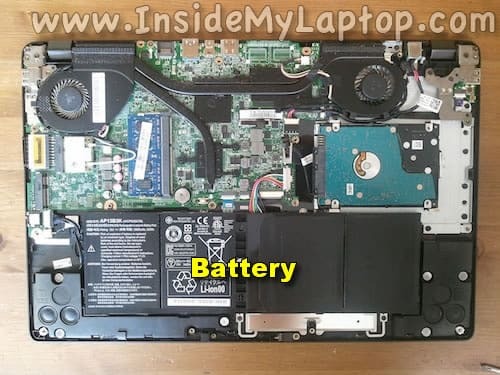 Under the cover you can access most important internal components but before you touch anything don’t forget to disconnect the battery. Unplug the battery connector from the motherboard. Do not pull by the wires. Unplug the connector by the edges. 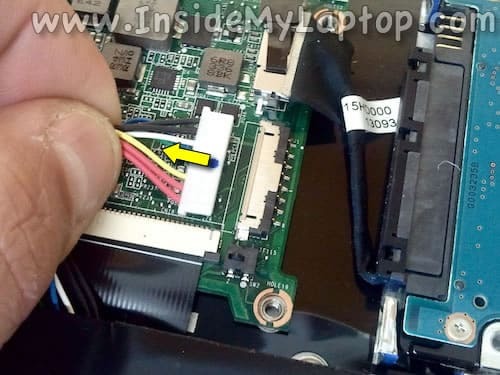 There are no screws securing the hard drive. It’s just fitted between case brackets. Lift up the hard drive from the case. Remove the hard drive and replace it with a new one if you are doing an upgrade. 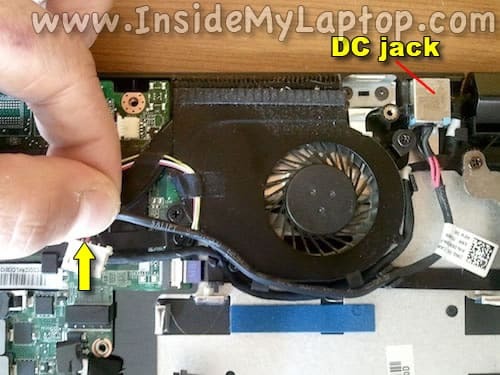 The DC jack also not secured to the case. It’s fitted between plastic brackets. Again, do not pull by the wires. 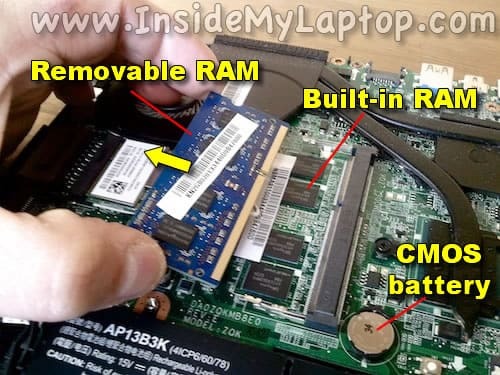 Acer Aspire V5 has built-in RAM (integrated into the motherboard) and one removable RAM module. The CMOS battery located close to the memory slot. 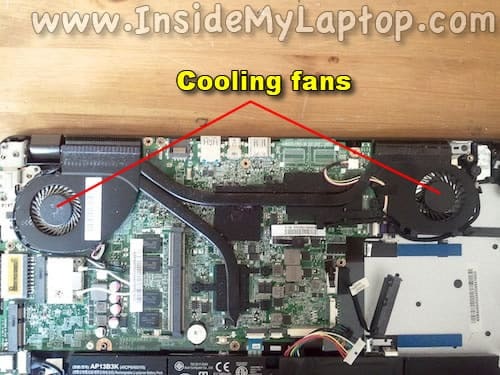 Both cooling fans can be easily accessed. It’s not necessary to remove fans for cleaning. Simply blow off dust with an air compressor or canned air. When you cleaning the fan using compressed air, block the fan with your finger so it doesn’t spin. Very hight RPM can damage the bearing. Now let’s take apart the display. 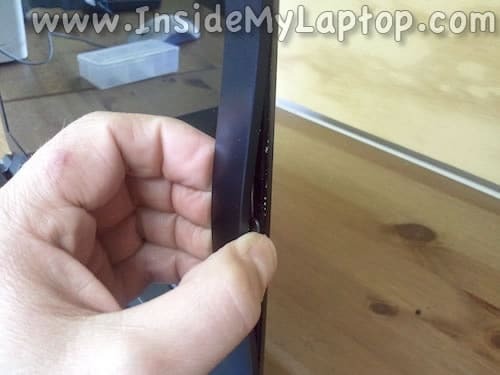 There are no screws securing the screen bezel. In order to separate it from the display cover, you’ll have to insert the guitar pick under the bezel and pull it away from the screen a little bit. Now you should be able to insert fingers under the bezel. Now you can move to the lower part of the display. 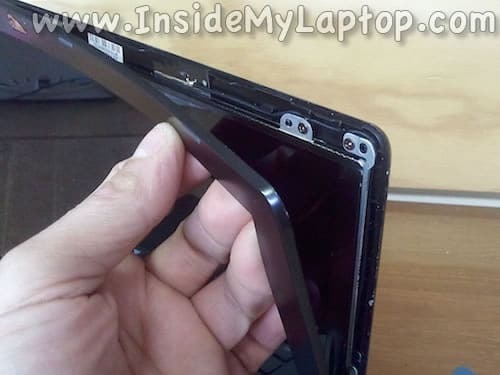 Remove four screws securing the LCD screen assembly. 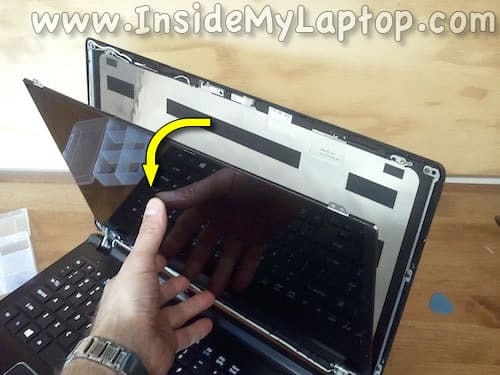 Carefully separate the screen from the display cover and place it the front side down on the keyboard. 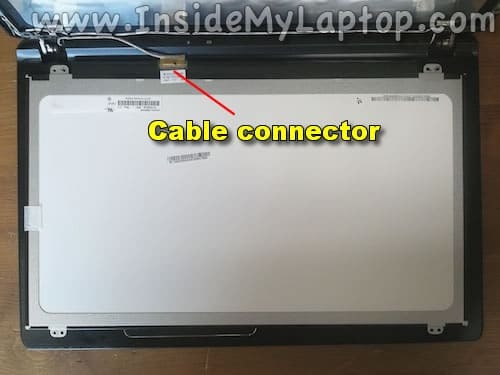 Now you can access the display cable connector. 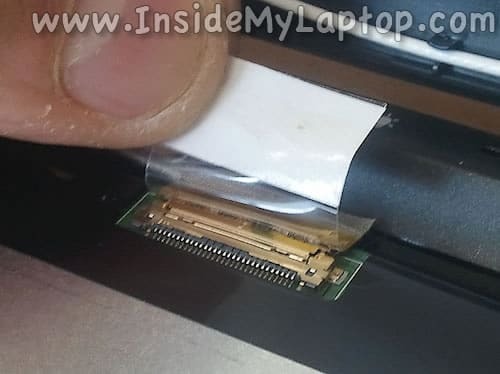 Remove clear tape securing the connector. 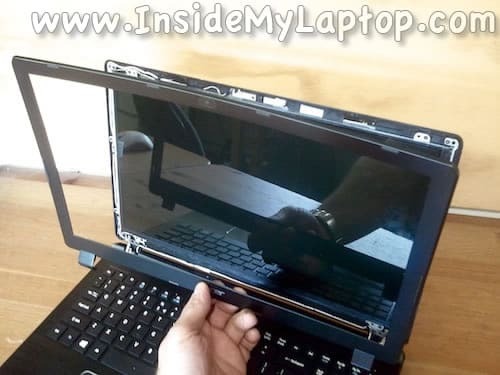 Remove the screen and replace with a new one if necessary. 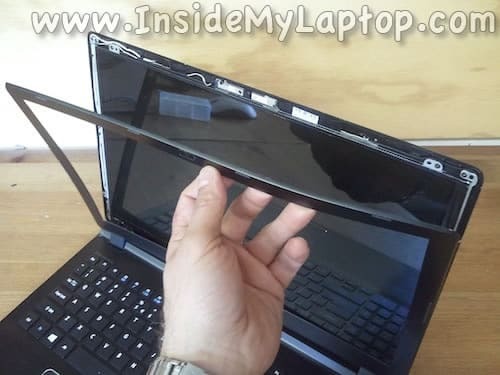 This Acer Aspire Aspire-V5-572G-6679 had the following screen installed: N156BGE-EB1. 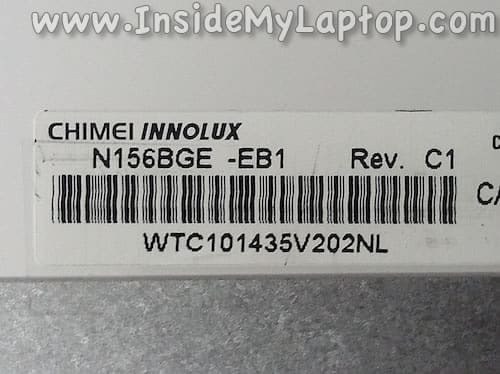 I easily found a new replacement when I searched by the model number. Not sure what you are asking about. Does it have an optical bay at all? Great job on the detailed instructions. 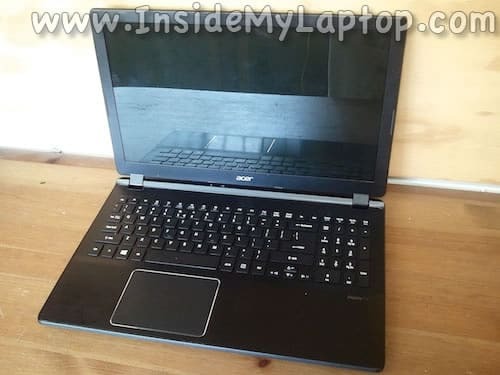 Hi i’ve got an acer aspire v5-572pg and would like to know what ram it would take. Also do i have to remove the battery and follow all the steps if i’m to just upgrade the ram? It looks like Aspire v5 can needs DDR3 1333 MHz RAM. It supports 8 GB RAM (use two 4GB modules). Also do i have to remove the battery and follow all the steps if i’m to just upgrade the ram? 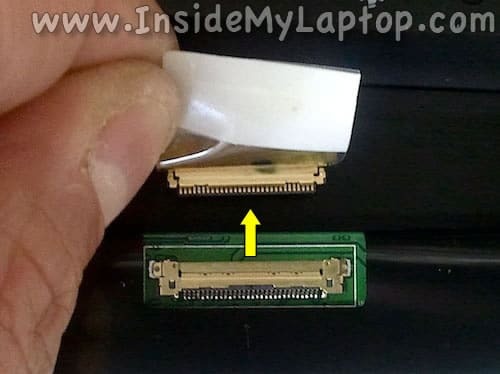 You don’t have to remove the battery but probably you should disconnect the battery cable from the motherboard. I appreciate you taking your time out to help me out with this and i will be ugrading my ram asap. Thanks again it is well appreciated. Quick question. I have a 552g – which has a similar keyboard configuration. I can not for the life of me figure out how to replace it. I can’t get the front plate off, and going in from the back hasn’t proved fruitful. Is there something I’m missing? Or are these keyboards extremely difficult to replace? Thanks! 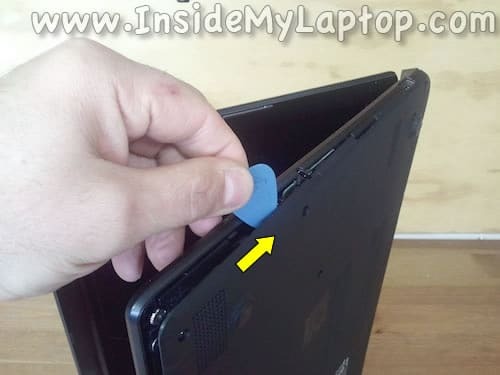 This helped me a lot whan replacing a screen! 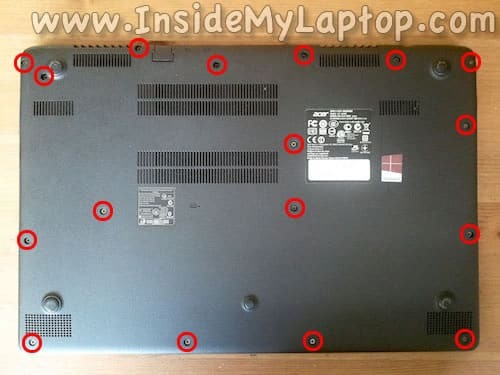 I have the same question as Aaron re: this Acer Aspire line …..how does the keyboard get replaced? Is there a way for a DIY keyboard replacement to be performed? IF you know, please post.